L EARNING O BJECTIVE : T O UNDERSTAND THE KEY FEATURES OF THE T RUMAN DOCTRINE AND THE M ARSHALL PLAN L EARNING O UTCOME : T O BE ABLE TO EXPLAIN THE IMPORTANCE. 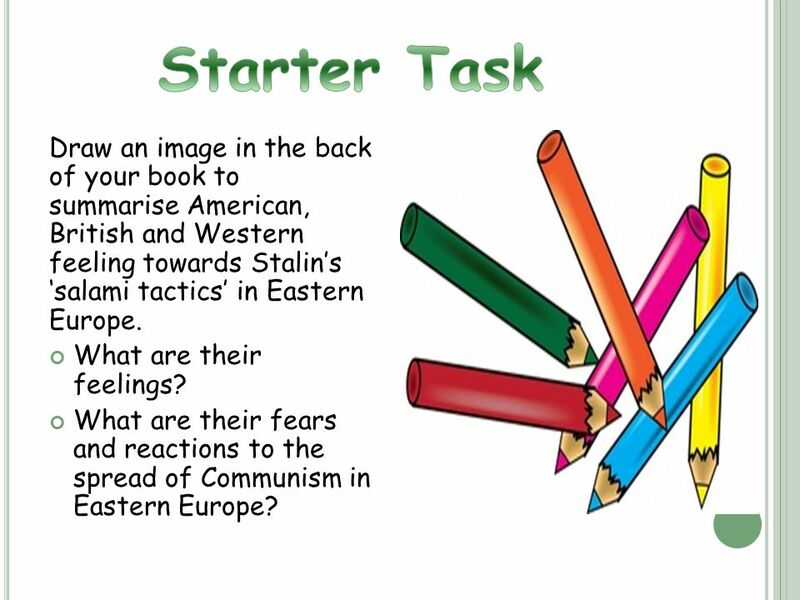 2 Draw an image in the back of your book to summarise American, British and Western feeling towards Stalin’s ‘salami tactics’ in Eastern Europe. What are their feelings? 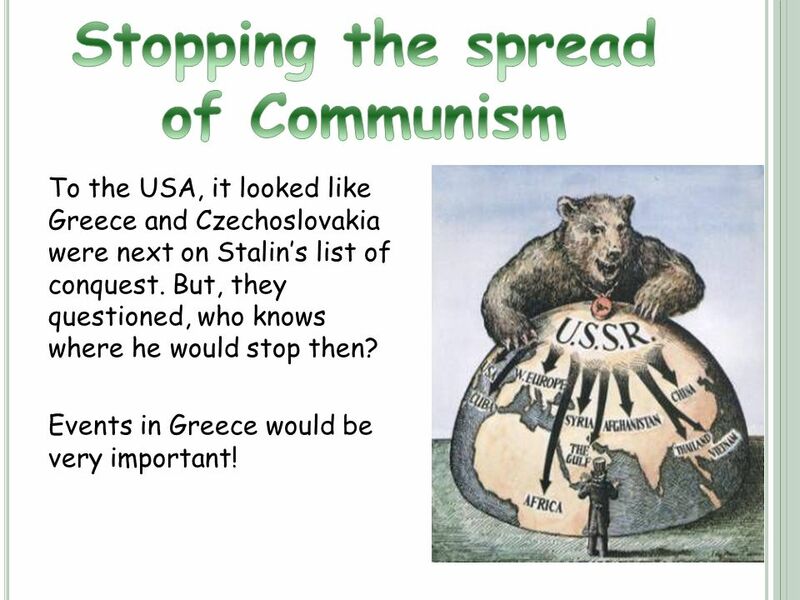 What are their fears and reactions to the spread of Communism in Eastern Europe? 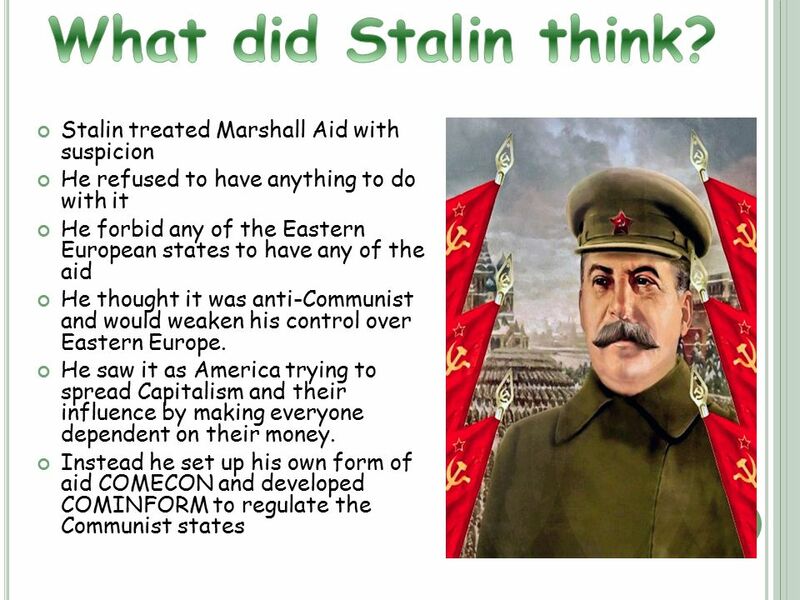 4 Stalin took over Eastern Europe setting up Communist governments. 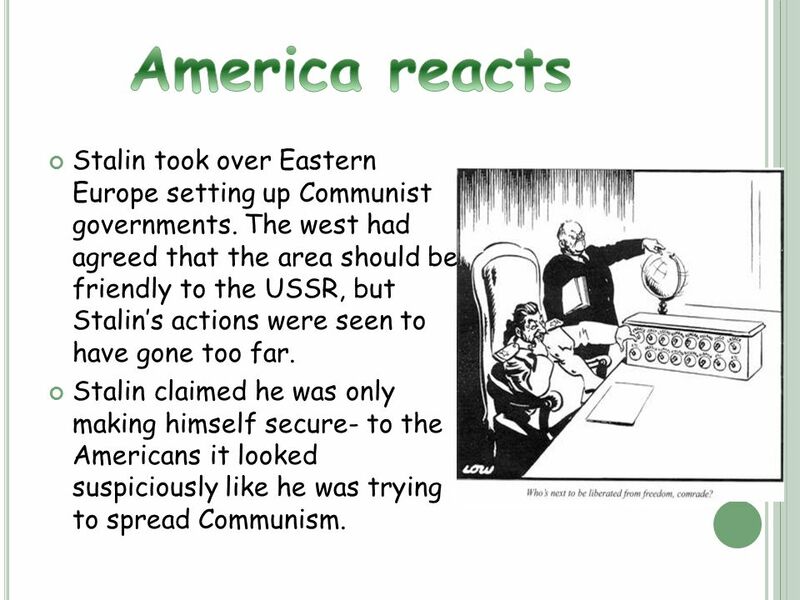 The west had agreed that the area should be friendly to the USSR, but Stalin’s actions were seen to have gone too far. Stalin claimed he was only making himself secure- to the Americans it looked suspiciously like he was trying to spread Communism. 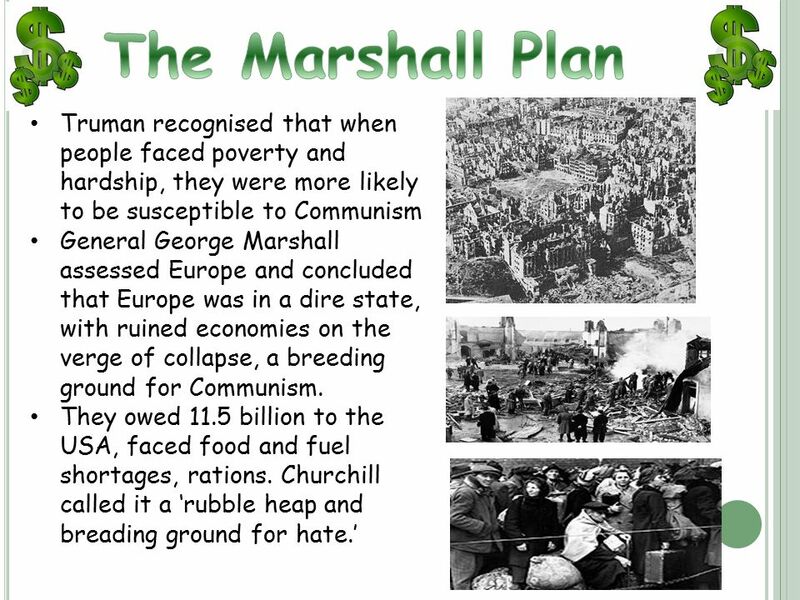 5 To the USA, it looked like Greece and Czechoslovakia were next on Stalin’s list of conquest. But, they questioned, who knows where he would stop then? Events in Greece would be very important! 6 Greece had been occupied by Germany during WW2, when they were defeated Greece was torn between the monarchists and the Communists. They were supported by the USSR. 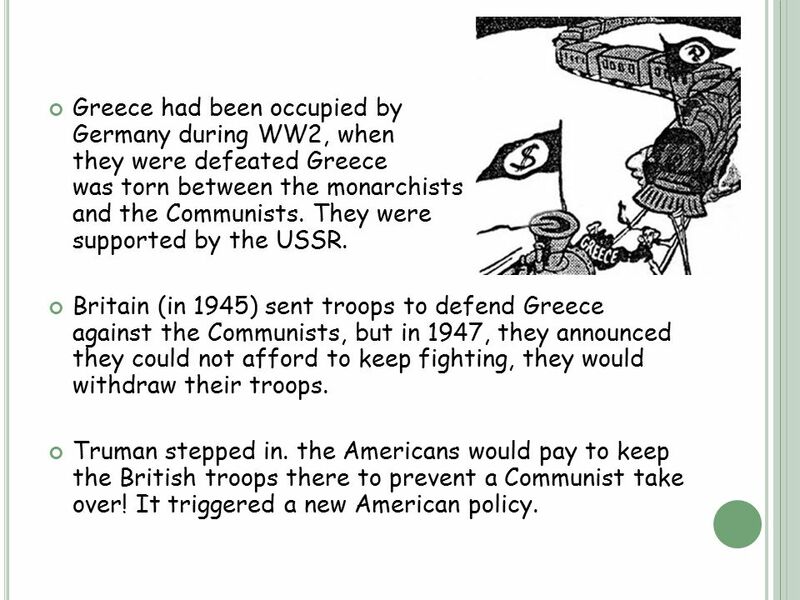 Britain (in 1945) sent troops to defend Greece against the Communists, but in 1947, they announced they could not afford to keep fighting, they would withdraw their troops. Truman stepped in. the Americans would pay to keep the British troops there to prevent a Communist take over! It triggered a new American policy. 8 The USA would give money, equipment and advice to any country, who America thought, were under threat from a communist take- over. 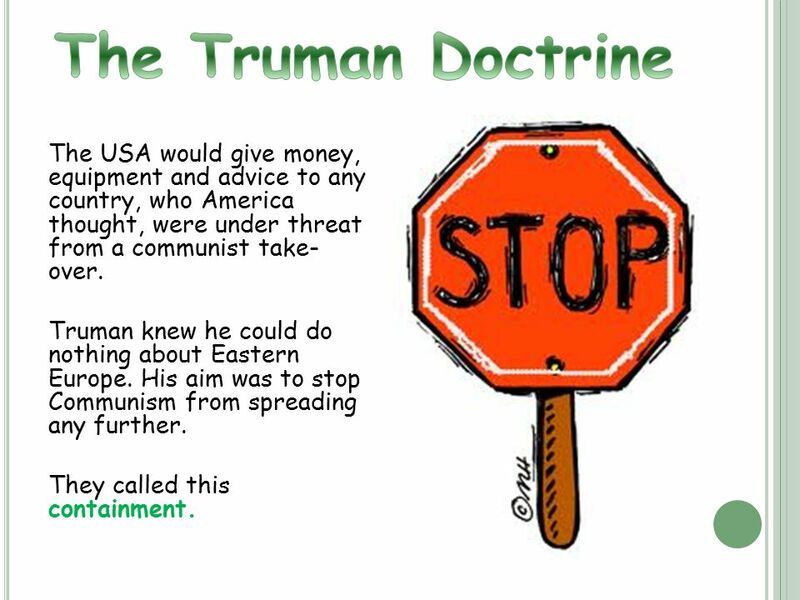 Truman knew he could do nothing about Eastern Europe. His aim was to stop Communism from spreading any further. They called this containment. 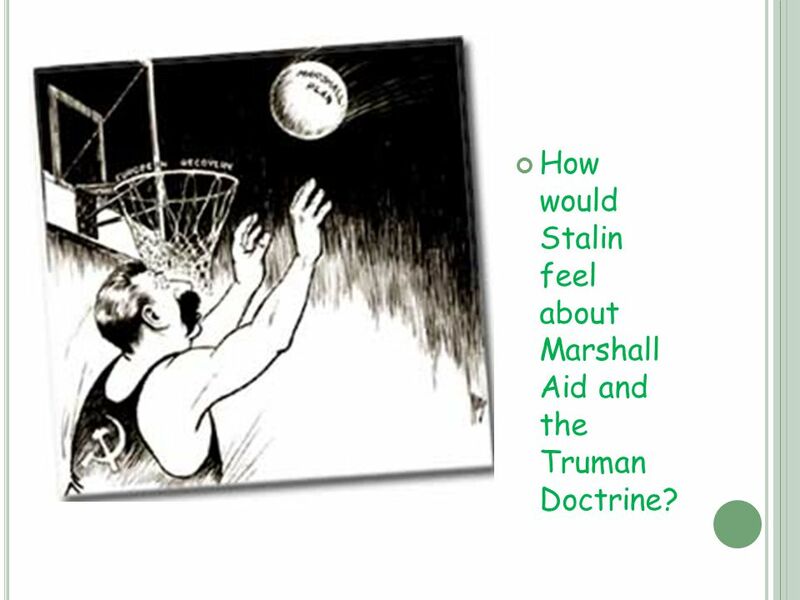 12 How would Stalin feel about Marshall Aid and the Truman Doctrine? 14 At first the US government were reluctant about giving so much money, but they quickly changed their mind. 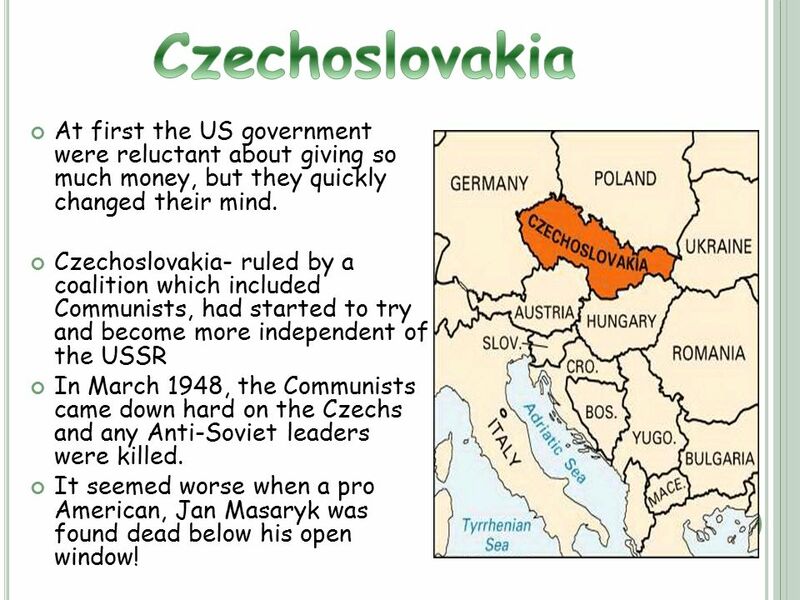 Czechoslovakia- ruled by a coalition which included Communists, had started to try and become more independent of the USSR In March 1948, the Communists came down hard on the Czechs and any Anti-Soviet leaders were killed. It seemed worse when a pro American, Jan Masaryk was found dead below his open window! 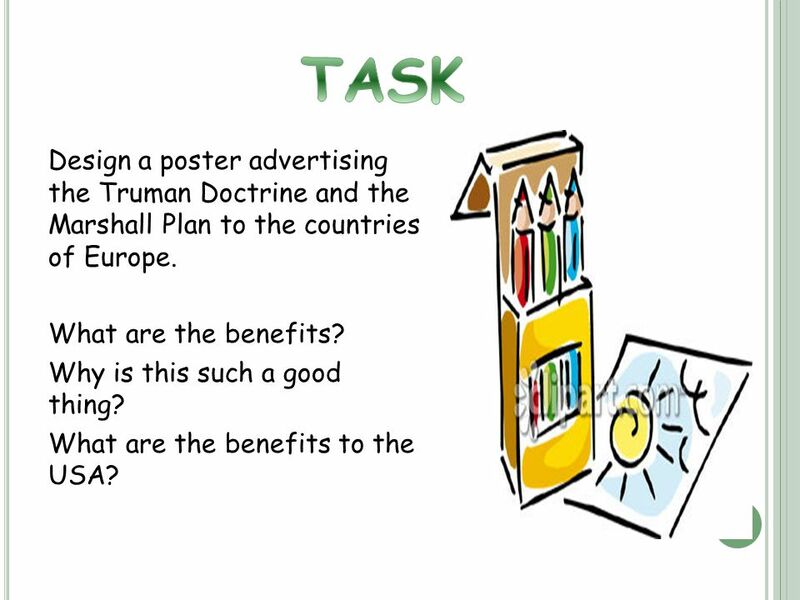 16 Design a poster advertising the Truman Doctrine and the Marshall Plan to the countries of Europe. What are the benefits? Why is this such a good thing? What are the benefits to the USA? 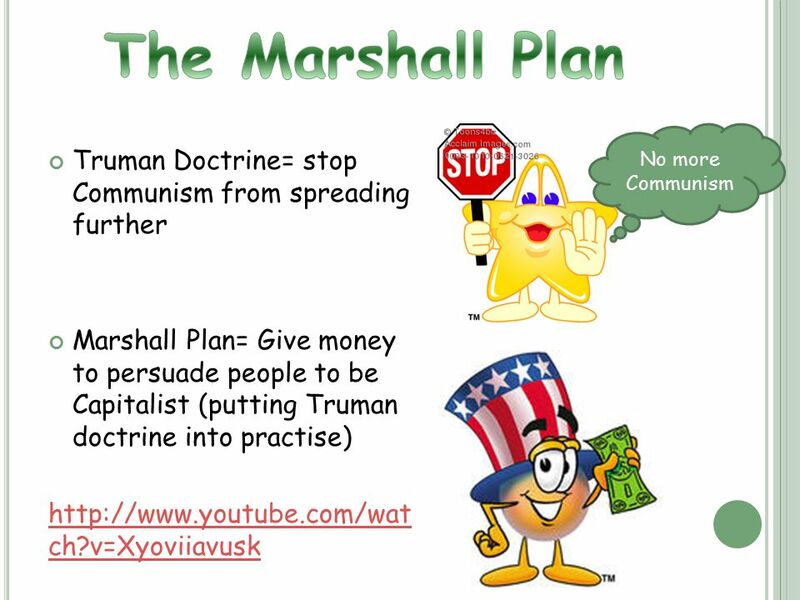 Download ppt "L EARNING O BJECTIVE : T O UNDERSTAND THE KEY FEATURES OF THE T RUMAN DOCTRINE AND THE M ARSHALL PLAN L EARNING O UTCOME : T O BE ABLE TO EXPLAIN THE IMPORTANCE."  Ideology: › Democracy › Communism  Democracy V. Communism › Similarities? › Differences?  Filling out as a class. Why did the tensions between the Allies turn into a Cold War? 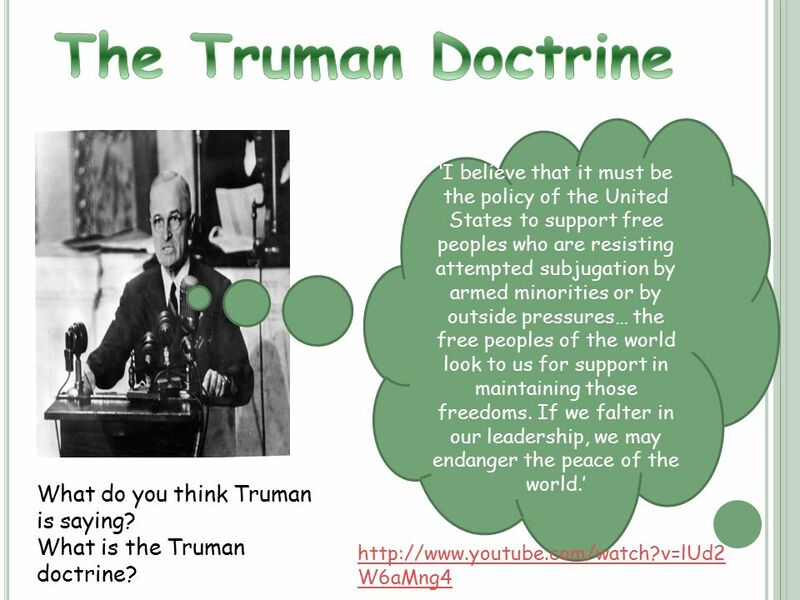 The Truman Doctrine By Jordan Haas, Beau Swan, and Jordain Vachon. 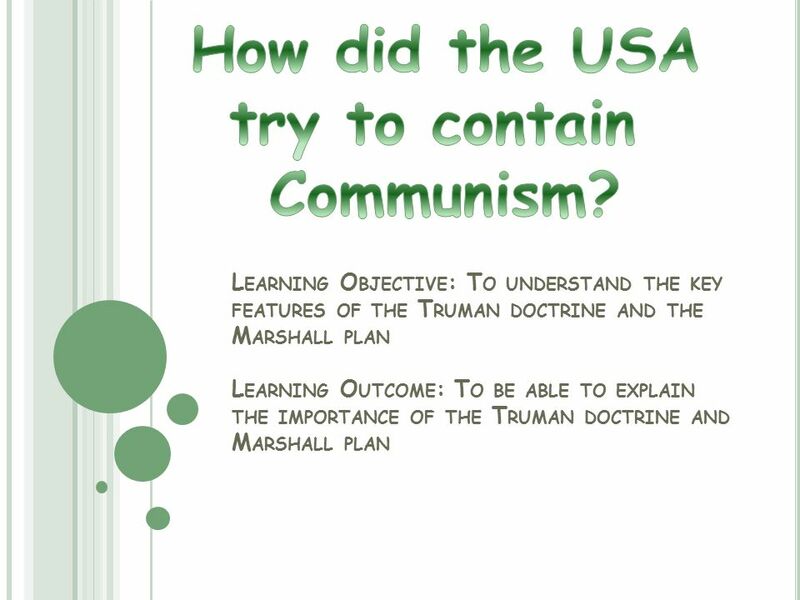 TRUMAN, the Iron Curtain AND CONTAINMENT IN EUROPE TRUMAN, the Iron Curtain AND CONTAINMENT IN EUROPE IB History of the Americas. Cold War #6: Money Talks 1.The Cold War was the conflict between these 2 nations. 2.This organization is designed to keep world peace. 3.This is the nickname. Discussion How do the locations of the Warsaw Pact countries differ from the locations of the NATO countries? Why? The Warsaw Pact countries were located. 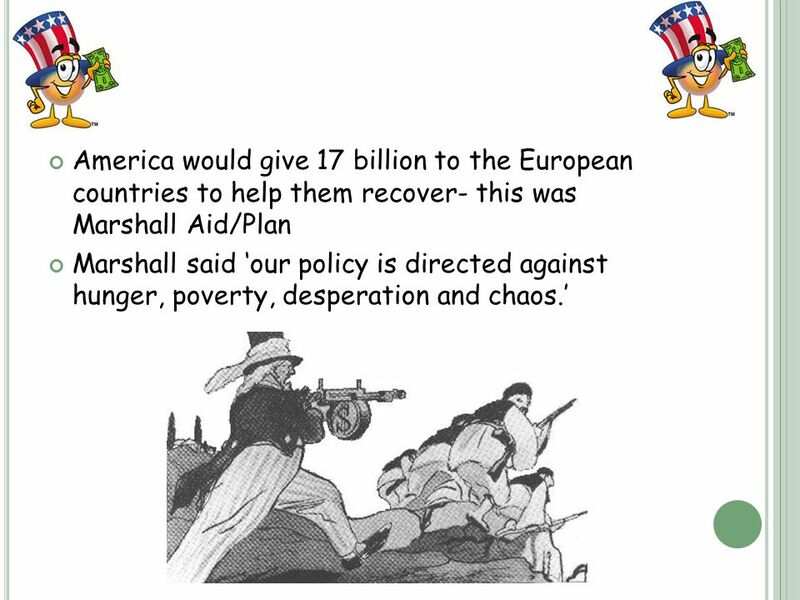 The Truman Doctrine and the Marshall Plan Mr. Ornstein Willow Canyon High School IB History of the Americas. Tamyra Barringer. 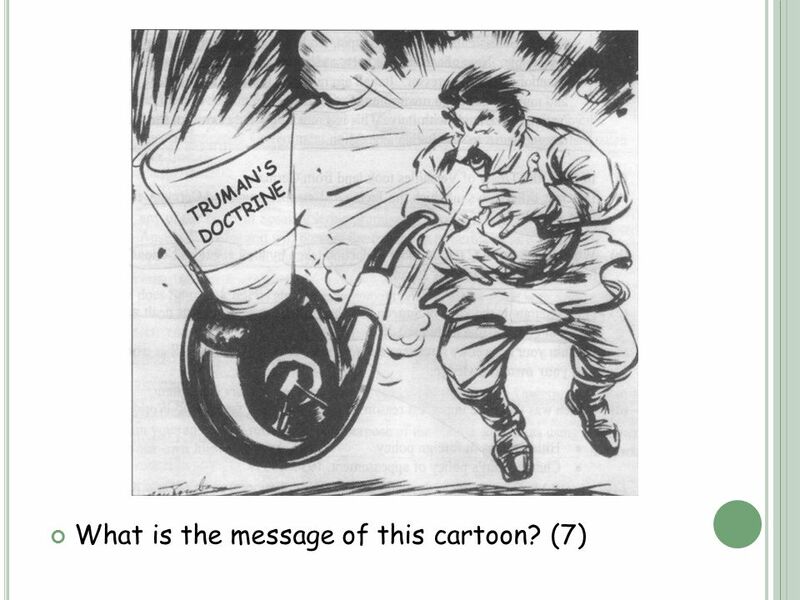  A doctrine is a stated principle of government policy, mainly in foreign or military affairs. COLD WAR: THE WAR OF INFLUENCE Ms. Humes 8 th Period. 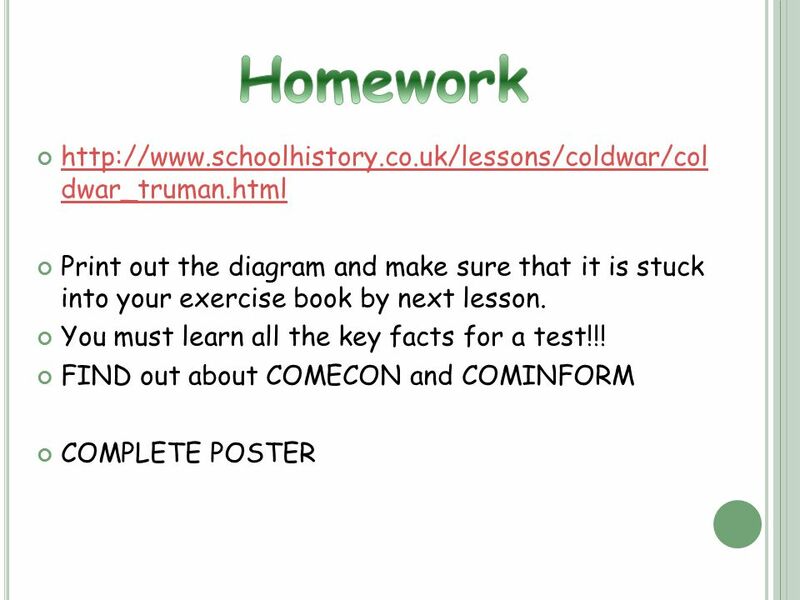 Bell Ringer What was the Cold War?  Attended by Roosevelt, Churchill and Stalin. 1. Creation of the United Nations. 2. Stalin agrees to enter the Pacific war after the defeat of Germany. March 12, 1947 Addressed to a joint session of Congress. Chapter 38 Origins of the Cold War. 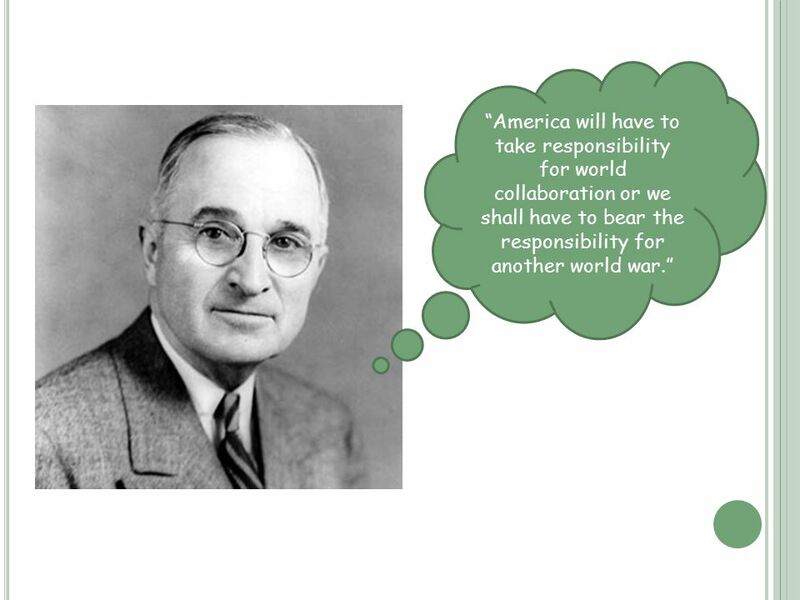 1 The United States and Soviet Union had different views after World War II of what Europe should look like. Security. Post WWII The Two Superpowers Changes in Europe post 1945 Changes in Europe post 1945.